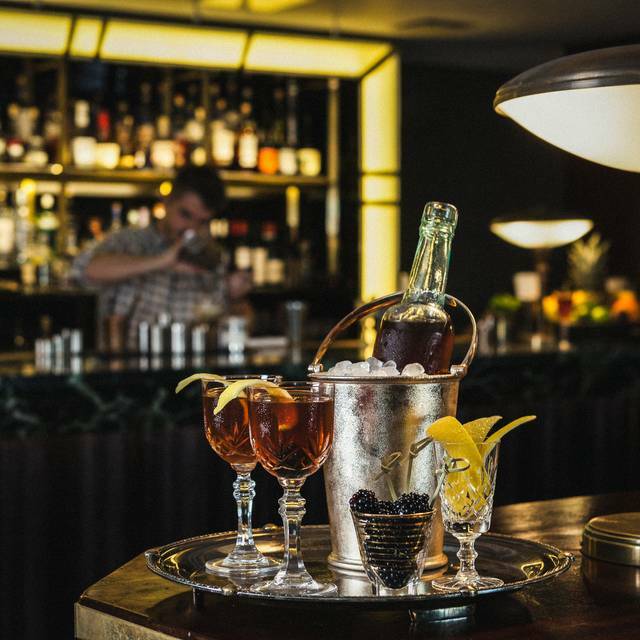 Located separately to our restaurant, our basement bar has been home to a crack team of cocktail-geek bartenders for the last 4 years with both the bar and the people winning numerous accolades as amongst the best the world’s cocktail industry has to offer. 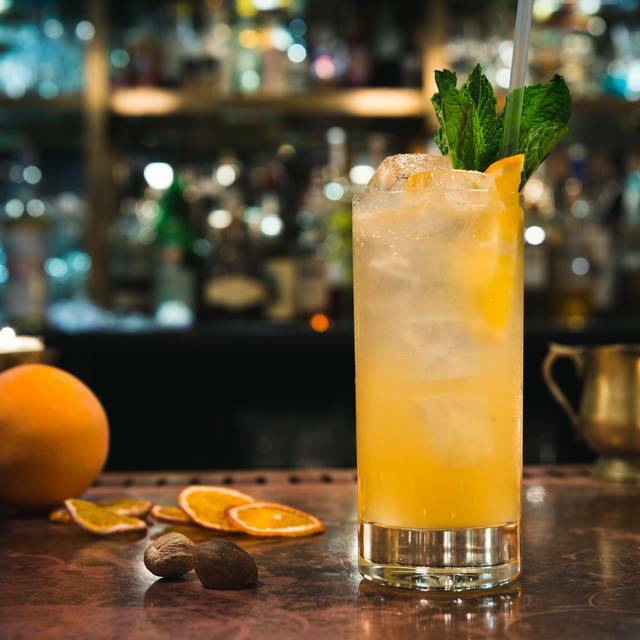 Our newly launched menu features numerous Hawksmoor classics from what we think of as our ‘gin years’. 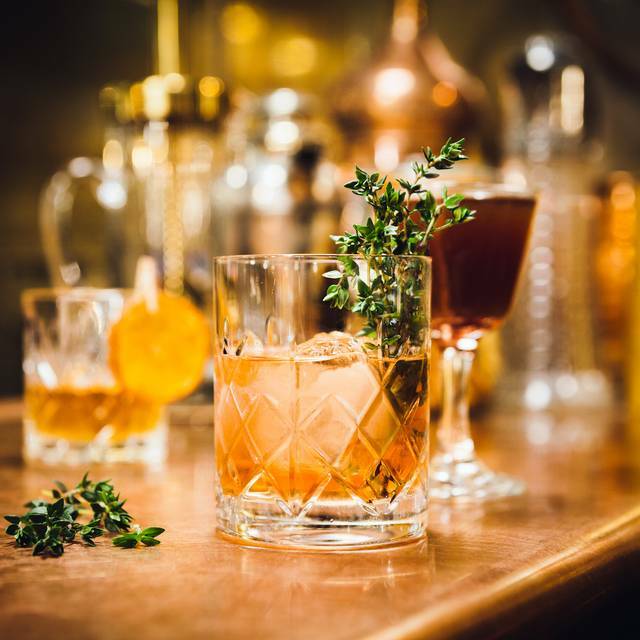 Ten years on the gin will either make you ultra-creative or head-throbbingly depressed and thankfully for us it was the former, and those classic Hawksmoor drinks are joined by what can best be described as the result of our bartender’s unique talent and fertile imagination. 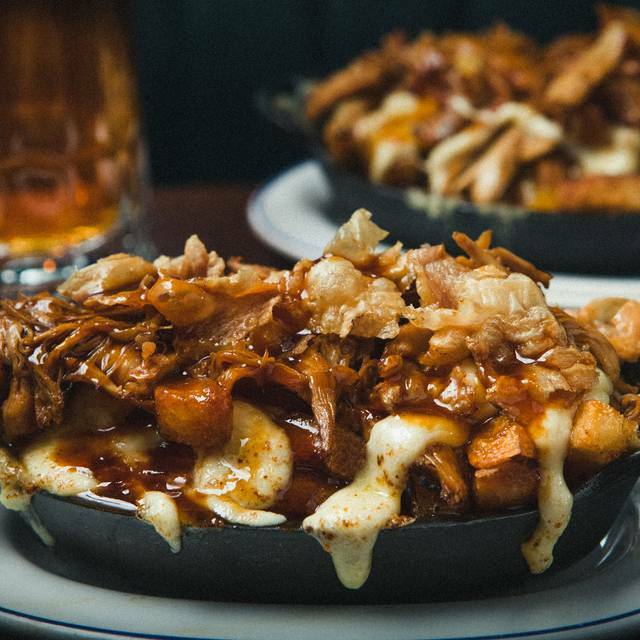 Our Bar food menu is a greatest hits list of the best from all our bars over the last decade, including shortrib nuggets (a Time Out ‘Top 10 Dishes in London’), burgers, dogs, lobster rolls and poutine. We do not serve our full menu or steaks at Spitalfields Bar. Always good in the bar. Burger wasn’t as good as normal for some reason but still would always recommend. Unfortunately we booked this based on the menu and overview of the main restaurant - which is the floor above the bar - and is the information linked to this venue on Opentable. The bar itself only has a limited burger menu and you cannot order from the restaurant menu. We even received a call from the venue to confirm the booking and they did not specify that it is separate to the restaurant. However the staff were friendly and the burgers ok - albeit slightly overpriced for what you get. Excellent service, food and choice of drinks. Really relaxed atmosphere and our server for the evening (I can't remember her name but she was from Bermuda!) was fantastic. We'll definitely be returning. Really cool staff, perfect service. Food was great and cocktails were even better. Our server, Aisha, was absolutely amazing! Food was delicious, I’d been itching to try the Big Matt burger for months and it did not disappoint. Will definitely be back! We booked a table in the restaurant not in a noisy bar downstairs where you can not see the menu or hear yourself speak. We did not stay as it was extremely disappointing. We keep on coming back! The service is OUTSTANDING, we were served by the friendliest lady who looked after us so well even though the bar was extremely busy. Fantastic food & well priced! We had a problem with the booking (which was no fault of the restaurant), but they were excellent in accommodating us after a short wait, despite being fully booked. The staff were really friendly and helpful. The food at Hawksmoor is always great. I have pretty much tried them all now and their efficiency and consistency of quality is quite amazing! We all enjoyed our steaks, though it didn’t quite reach five stars for me on this occaisoon, as one of the sides was undercooked and we had a slightly unevenly cooked piece of Chateubriand (which is probably to be expected given the cut...) - so I’m probably being a little harsh, but they set very high standards. Still highly recommended and still our favourite steak restaurant(s) in London! Great bar, great atmosphere, great food. Can never fault this place! Always delicious! Really loved the creative christmas nuggets and the Xmas burger was on point! Christmas Burger Bliss. 4 of us, all getting the Christmas burger, with a few Christmas Nuggets thrown in was pure comfort food heaven. The cocktail list is also excellent, and the staff are as friendly and helpful as you could hope for. It has been a yearly tradition for years now, and will be for many to come. Even if you are not visiting for Christmas, i would also highly recommend their Big Matt burger. Smashing cocktails and charming staff - great atmosphere allround. Disappointed as we booked bar specifically for poutine, but it was off the menu. Beef short rib n dip was very disappointing. Bit of meat and cheese in a roll. Burger was good not great. I’d recommend restaurant rather than bar for food. Stick to drinks. Great spot for a quick burger before a gig - would recommend for someone wanting an easy meal! Booked for my boyfriends birthday, and I must say the burgers were amazing!!! You must order the Big Mat an dthe Cheesy cauliflower bites.... great meal! We were incredibly well served for my birthday drinks. Staff were attentive but not intrusive, and the drinks were stellar. 10/10 would visit again. Nice place, nice deco and vibe. good food. A good plave for drinks or casual dinner, burger etc. Dive bar feel with great vibes. The short rib french dip sandwich was a winner! Food was great as usual. We prefer the bar area since it’s more casual. You cannot get a better sticky toffee pudding in all of London. For real. Great service, food was ridiculously good and the atmosphere was spot-on. Can't wait to go back! The Big Matt burger is very tasty, I would recommend this to any burger aficionado. Bar itself has the sensation of being a bit pokey, dark and tired - probably wouldn't return as a result. Revamped menu poor. Food quality not great. A relief it was 50% off! Even at that not good value. Was told on the phone (before arrival) that certain items would be on the menu - and then weren't. Certainly won't be returning - a massive disappointment particularly given it was a birthday occasion. 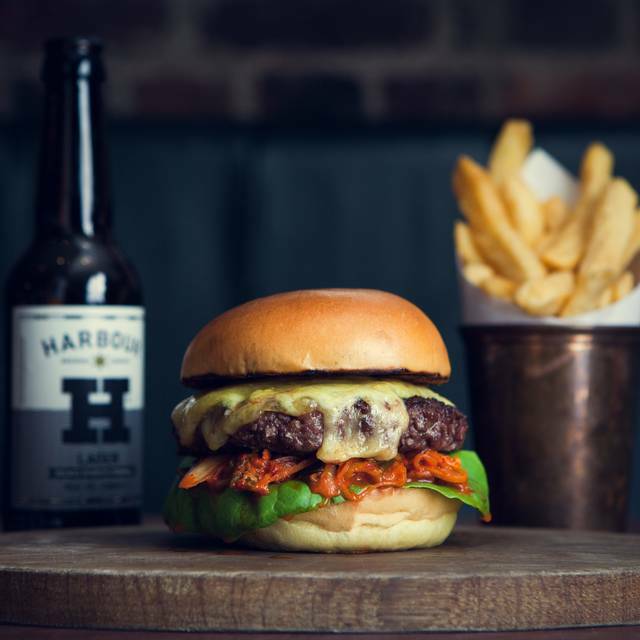 We went last night and I have to say the burger we had was great, really tasty and came to us quickly and the chips were absolutely amazing! so thats the positives. The negatives? we wanted the fried cauliflower to start before our burger and was told we could only have all the food together " as it would back the kitchen up otherwise" I mean really deep frying some vegtables then waiting ten minutes is going to back your kitchen up? its a shame I would have spent more money on drinks and stayed longer , I guess they want us in and out as quickly as possible which isnt really what you want to hear when you go for a night out, so while the food was very good I won't be back Im afraid its not a cheap place and when I go out I want to feel relaxed and welcome. Popped in with the lads for burgers and beers as it was on soft launch. Excellent service, great burgers, prices reasonable even at full price. Recommended. The website doesn’t say that the bar has a limited menu, there was no room in the main restaurant and they wouldn’t allow us to order steak in the bar so we had to leave and try and find some else to eat on a Friday night! Great place : very nice service a treats, awsome cocktails, lovely ambience & decoration. 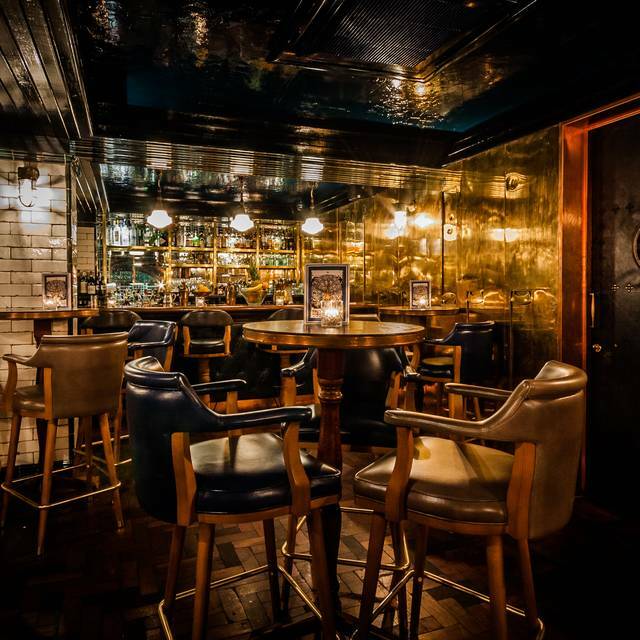 I love this bar - one of my fave places for a date night in London. 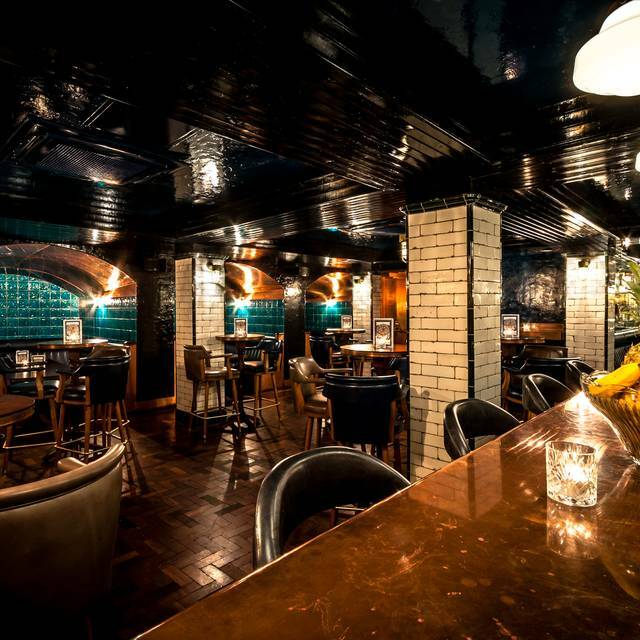 Dark, underground, atmospheric, excellent service, great cocktails and a fab bar menu. Couldn't be better. The relaxed ambience was perfect for a laid back evening meal with my son, who lives nearby to the Spitalfields branch of Hawksmoor. We both had the burgers which were top notch ! Tom loved the craft beer - I tried one too, and really enjoyed it! The service was excellent. 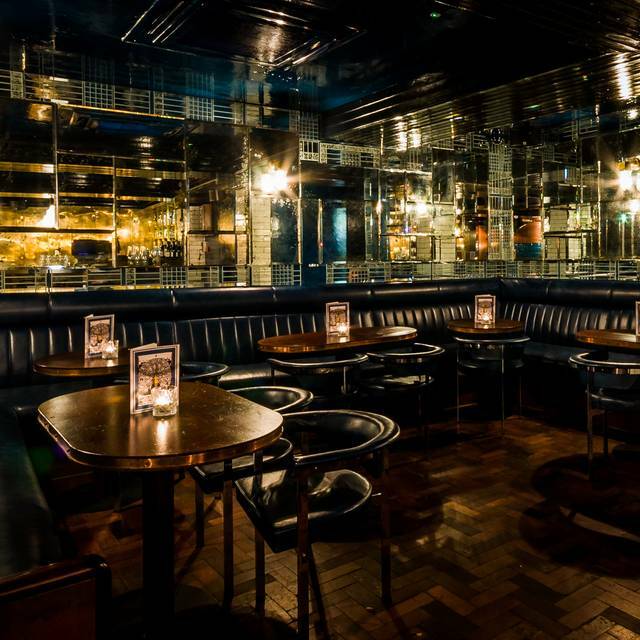 Previously, we had dined in the Bank (City)branch of Hawksmoor - that is still the stand -out experience! We have also eaten at the Shad Thames branch, where we enjoyed Sunday lunch last summer. We shall definitely be returning to Hawksmoor! 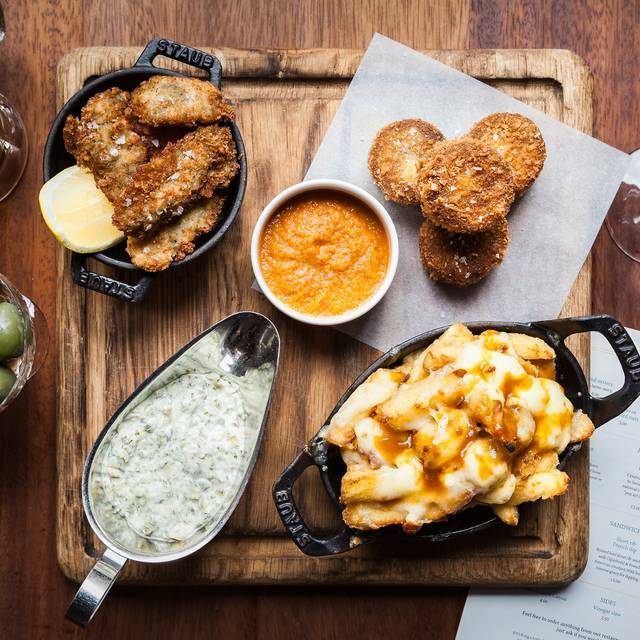 I live in Chester, so must get over to Manchester, to give the restaurant there a try! Many thanks for reliably fab food!! Awesome Christmas burger. We will be back next year! What to say, we make this a yearly pilgrimage to get the hawksmoor Christmas burge and it never disappoints. Every year we find ourselves saying that it's better than the previous year. The drinks/cocktails match the excellent food and the staff are brilliant. Roll on next year! Hawksmoor perfect as usual; great service, incredible food (best burger we have had this year), and classy cocktails. Amazing burgers! Had both Hawksmoor and Christmas burgers between us- definitely the best ever! Great bar. Service is always great and the food is lovely. The Christmas menu is particularly amazing! One comment is that the music was a little loud but the atmosphere is generally great.